Long lead times are a thing of the past with customized LSK mounting solutions from GAM now available in only 5 days. 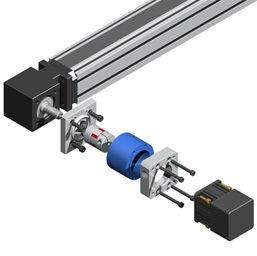 When mounting a motor or gearbox to a linear slide, belt or ball screw actuator, a customized Linear Slide Kit (LSK) from GAM can be your hassle-free, simple solution. 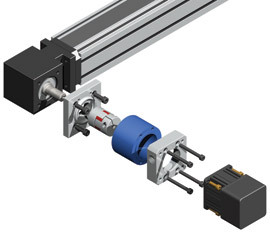 Compatible with any linear slide, belt or ball screw actuator and any motor or gearbox, the custom LSK solutions are easy to mount and economical. GAM provides all the engineering and design for every custom LSK mounting solution. 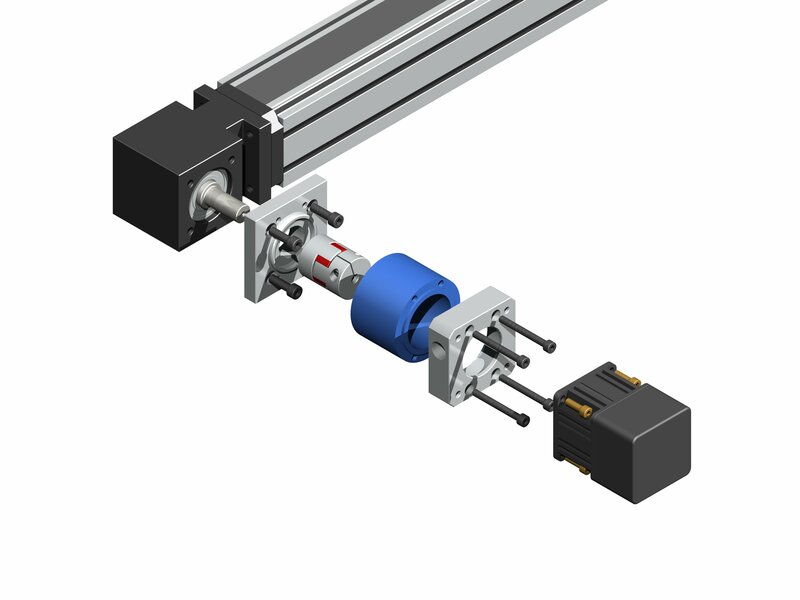 Many belt or ball screw actuators can be delivered in 1-2 weeks; however, the motor mount assembly can extend lead-times by 4 - 6 weeks and add substantial cost to the assembly. GAM's new guarantee of quick, 5-day availability is a key benefit to reducing the overall delivered lead-time of the actuator and total cost. The LSK from GAM is offered in multiple sizes, with several different custombored coupling options. A bellows can be supplied for high stiffness or an elastomer can be supplied when dampening is required. The LSK includes all necessary mounting hardware, making installation as simple as tightening down the bolts. Readily available and reasonably priced, these custom mounting solutions from GAM are designed for high performance without the wait.